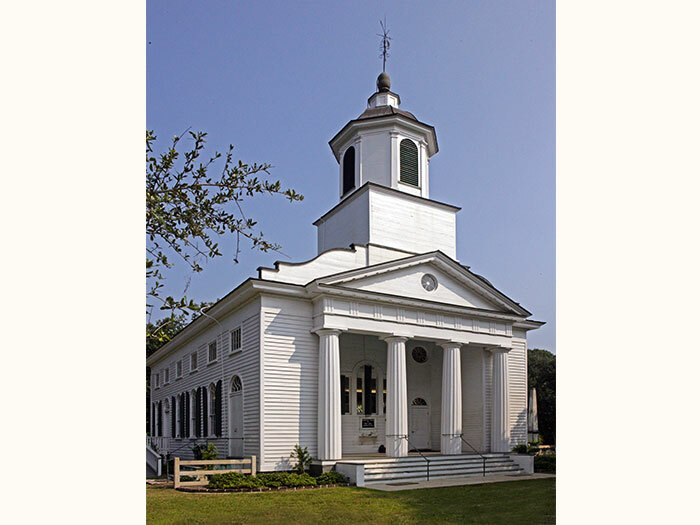 Constructed in 1831, this small church on a scenic barrier island sits along the rural highway to the beach. The original pulpit had been lowered and set on a platform in the late 19th century. Sears and scribe marks in the original heart pine floor under the platform left the evidence needed to reconstruct the pulpit steps. The return of the pulpit to its original elevation restored the sight lines for the balcony that had been lost.